Stress can be positive and negative. Positive stress can be highly effective as a motivator. 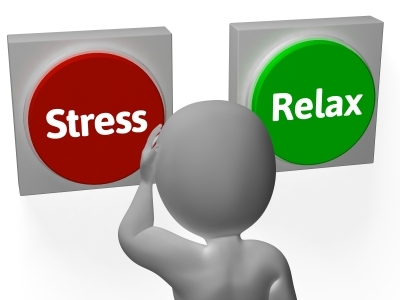 However, when stress affects your ability to perform, then you need to try to control that bad stress. Here are some of the tips recommended by a range of medical and psychological health experts. Get about eight hours of sleep: while you sleep you restore and repair your body and mind. Breathe deeply: You will be amazed at how they can calm your nervous system. Learn to relax: Introduce some meditation and visualization techniques into your daily routine. This is a great technique for keeping calm and focused throughout the day, particularly before an important exam. Exercise: Try and do a brisk 30 – 40 minute walk or jog outside at least two to three times a week. Exercise is great for stress relief and helps get rid of excessive anxiety and negative energy. Communicate: Offloading to someone who can listen to you is extremely beneficial. This may be your partner, a friend or a counsellor. Keep a journal: The benefits of putting pen to paper to express what you are feeling have been well documented. Try and get into a regular routine of journaling. Take a Magnesium supplement: Magnesium relaxes both the mind and the muscles. If you are especially nervous, try to eat seeds, nuts, vegetables and fruit every day as they are rich in magnesium. Examine yourself: by talking to yourself inside your head. Are you psyching yourself out by telling yourself that you’re no good or stupid? Instead, try to make yourself talk more realistic or upbeat. Listen to music: Put on some soothing music, close your eyes, and shut off from the world to unwind and distress. Engage with nature: A walk in a forest or along the beach is free and can be a great tool towards unwinding.